A political commentator from Canada, who is the author of “Voices from Syria”, praised a recent trilateral summit between Tehran, Moscow, and Ankara about the Syrian crisis and said the talks represent “a trajectory towards multi-polar geopolitical alliances”. “The trilateral summit is important in the sense that it represents a trajectory towards multi-polar geopolitical alliances as opposed to a US-dominated Unipolar World Disorder of permanent war and poverty, and worse,” Mark Taliano said in an interview with the Tasnim News Agency. Taliano is an author and independent investigative reporter who recently returned from a trip to Syria with the Third International Tour of Peace to Syria. 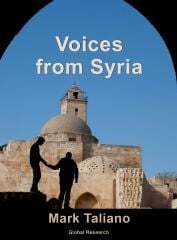 In his new book titled “Voices from Syria”, he combines years of research with on-the-ground observations to present an informed and well-documented analysis that refutes mainstream media narratives about the dirty war on Syria. See Book details below. Tasnim: As you know, a trilateral summit was held in Tehran on Friday between Iranian President Hassan Rouhani and his Russian and Turkish counterparts, Vladimir Putin and Recep Tayyip Erdogan, about the Syrian crisis. According to Iranian Foreign Ministry Spokesman Bahram Qassemi, the summit was not expected to resolve all issues surrounding the prolonged crisis in Syria but it aimed to facilitate more steps to combat terrorism and restore tranquility to the Arab country. What do you think about the success of the summit as well as Iran’s regional role? Taliano: Iran and Russia have always acted in accordance with the international law in Syria. They genuinely seek peace, and an end to terrorism and they act accordingly, with the consent of the Syrian government. There may never be peace in Syria and beyond as long as nations that claim to be fighting terrorism actually support terrorism. NATO member Turkey has so far fallen into this venal category. However, alliances are shifting. Perhaps Turkey is shifting away from its NATO allegiances. For example, Turkey is set to purchase Russia’s S-400 air defense system. Michel Chossudovsky argues that should this occur, “it is tantamount to NATO Exit”. If Turkey leaves what Eva Bartlett has described as the “Axis of Regime Change”, then this could strengthen trajectories towards peace, international law, and the elimination of the West’s al Qaeda/ISIS terrorists, which are a cancer to the world. The trilateral summit is important in the sense that it represents a trajectory towards multi-polar geopolitical alliances as opposed to a US-dominated Unipolar World Disorder of permanent war and poverty, and worse. Tasnim: The tripartite talks came as Syrian forces continue to reclaim much of southern parts of the country and are poised to soon launch an offensive in Idlib, one of the last remaining areas outside of Damascus’ control. 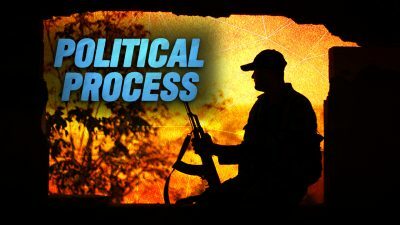 What is your assessment of the summit’s impact on the military developments in Syria? Taliano: Significantly, the statement issued at the end of the summit noted that, “They rejected all attempts to create new realities on the ground under the pretext of combating terrorism and expressed their determination to stand against separatist agendas aimed at undermining the sovereignty and territorial integrity of Syria as well as the national security of neighboring countries”. This is a powerful statement that recognizes and rejects Western attempts to “create new realities on the ground” by staging false flag attacks, and it rejects efforts to partition Syria. The fact that the report has reiterated the endgame of Syrian sovereignty and territorial integrity is also important. However, the offensive on Idlib has begun. Legitimate efforts for peace (including the summit) have been exhausted, especially since there are reports that the terrorists are murdering those who seek reconciliation, and those who seek to leave. Additionally, terrorists have been staging provocative and murderous attacks from Idlib to neighboring areas. Tasnim: During his remarks at the summit, President Rouhani deplored the Washington government’s negative role in the ongoing crisis in Syria and said the “illegal” military presence of the US will only “increase the problems that already exist in the country”. What do you think about the US military presence and its bonds with terror groups in Syria? Taliano: The West’s alliance with al Qaeda, ISIS, and all of the terrorists in Syria, is appalling. Western policymakers do not represent the will of the people. They hide their criminality beneath a sophisticated apparatus of deception and propaganda. Their policies of permanent war and their support for terrorism are a cancer to humanity. These policies “benefit” the transnational billionaire class alone. The world is being thirdworldized, plundered, and destroyed by these mindless elites. The US military presence in Syria is illegal. It is an illegal occupation. The terrorists will be there as long as the US is there. A Qaeda and ISIS are an integral part of the war machine led by NATO and its allies. The US and its allies have a long history of using al-Qaeda/militants as proxies: Afghanistan, Bosnia, Kosovo, Chechnya, Libya, Iraq, Yemen, Syria, and beyond. This cancerous “War on Terror” that is actually a “War for Terror” needs to end.